Turn images into beautiful text art. Is there a better alternative to Sweetie? 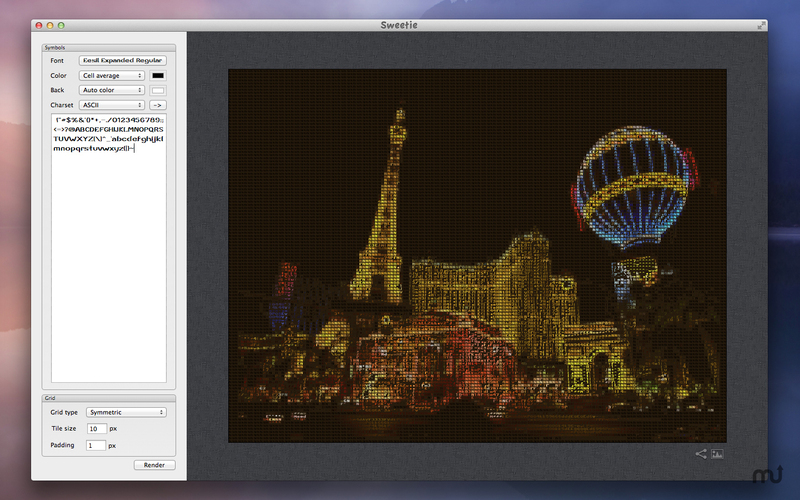 Is Sweetie really the best app in Image Editing category? Will Sweetie work good on macOS 10.13.4? Sweetie app stylizes images and turns them into beautiful text art. The app has a simple and clean interface that allows one to choose tile type and size, font, charset, color option etc. Total control over text generator: font, used symbols set, colors. Sweetie needs a rating. Be the first to rate this app and get the discussion started!